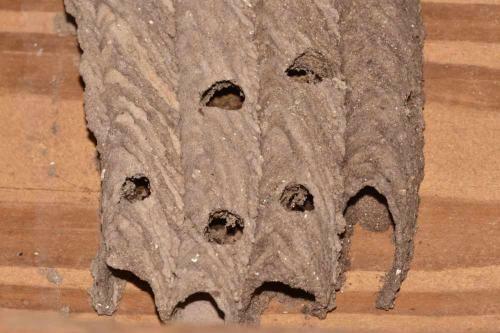 Mud Dauber nests are made up of rows laying side by side. Down those rows you can see exit holes where each egg was placed and hatched out. These wasps get their common name due to the fact that they make their nest out of mud. They are found throughout the United States. 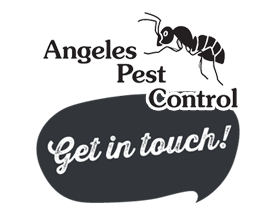 There are three species of Mud Daubers. In the Pacific NW we have the black and yellow mud dauber. They are not social and; therefore, do not live in a colony. Females will construct their nests. She will paralyze a spider and then deposit an egg on top of it, then she will cover it up. In the mud nest she will deposit multiple spider eggs and the nest will be about 3-4 inches long. The larvae will be developed in about 3 weeks. It will then spin a silken cocoon, but will not pupate until the following spring.